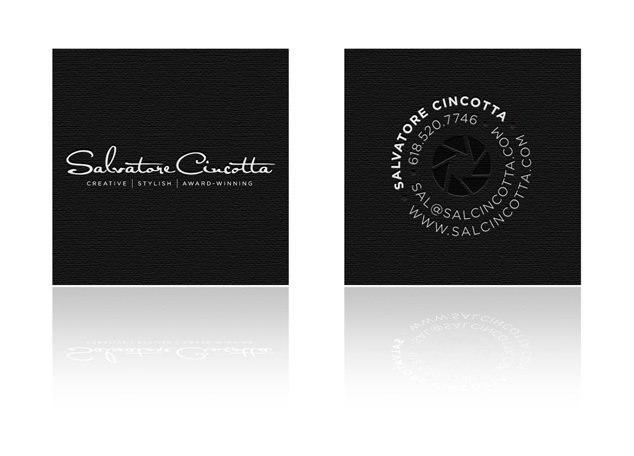 Salvatore Cincotta Photography came to us to design their new business cards. They wanted something different, high-end, something that would stand out from your average business card, so here is what we came up with. The cards will be letterpress printed on extra-heavy, uncoated, black paper with silver ink and a spot gloss varnish.